Please see below a range of badges that your children are working towards through our Learn to Swim programme. 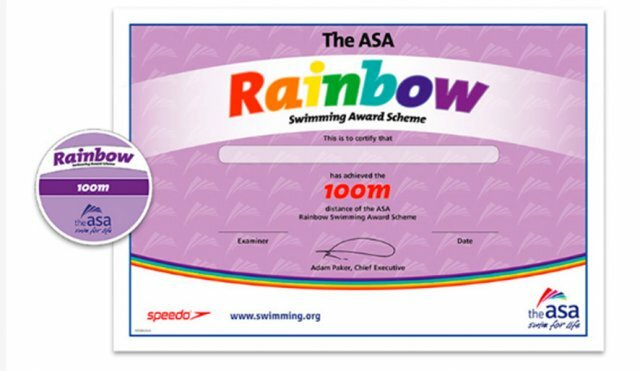 Our swim teachers will notify you when you need to purchase a badge. 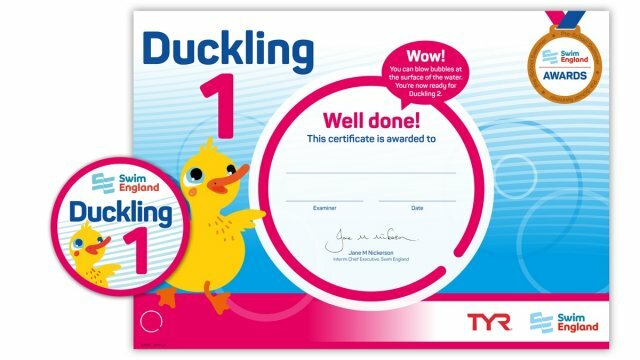 Duckling Awards are designed to help toddlers enjoy learning to swim with help from their parents or guardians. 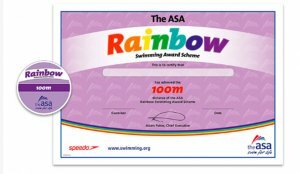 The ASA Rainbow Distance Awards are designed to complement the 10 stages of the ASA Learn to Swim Framework. 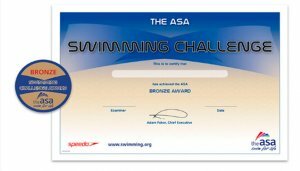 The ASA Learn to Swim Awards 1-10 are divided into progressive stages. They make up the core, national syllabus of learning to swim for primary school aged children. The ASA Swimming Challenge Awards are for young people working towards Stages 8-10 of the ASA Learn to Swim Framework, with Bronze, Silver, Gold and Honours Awards available.